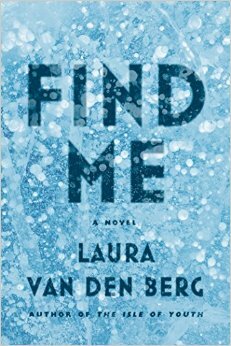 Laura van den Berg’s first novel (after two acclaimed short story collections), Find Me, was published in early 2015 and has just been issued in softcover by FSG Originals. It was named to “Best of 2015” lists by NPR, Time Out New York, Buzzfeed, Booklist, Bustle, Vol. 1 Brooklyn, The Baltimore City Paper, and Book Riot, was longlisted for the Center for Fiction’s First Novel Prize, and has just been named to the longlist for the Dylan Thomas Prize. A detailed bio of van den Berg follows her essay. Writing a novel is not easy. Of course, I knew that going in—certainly when I began Find Me I did not think, “Hey, this should be easy!”—but as someone who had written only short stories, save for a few half-hearted 50-page stabs at novel writing, I did not appreciate how hard it would be until I was in deep. I wrote the first draft of Find Mein roughly six months, in 2008. I turned in my final edits to my publisher in May 2014. What was I doing with all that time in between? Wow..Best of 2015, Have a long run ! !